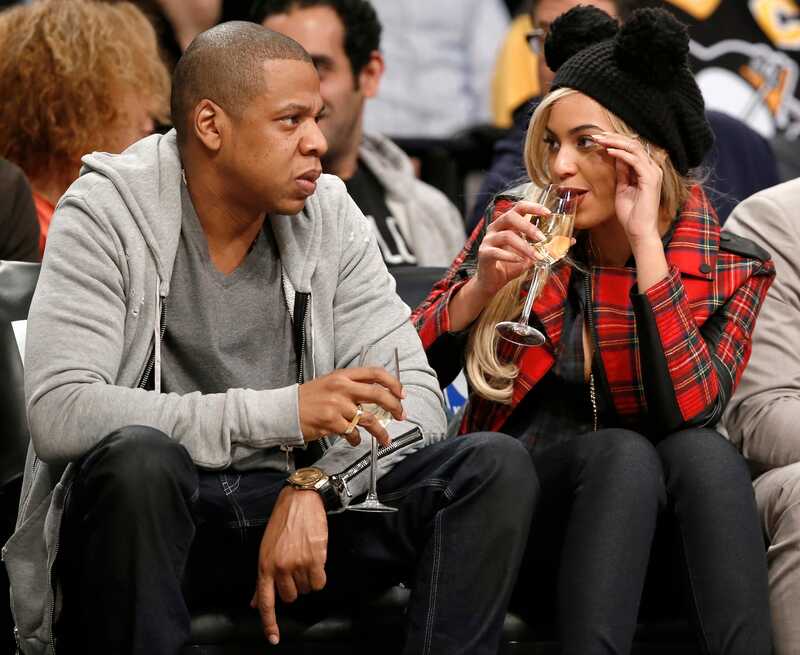 On Wednesday, it was announced that a new company led by Jay Z had acquired Armand de Brignac Champagne — a celebrity favourite — from Sovereign Brands for an undisclosed amount. 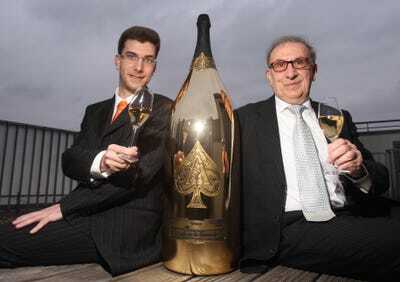 The luxury champagne brand, more commonly name-checked in rap lyrics as “Ace of Spades” because of its logo, sells bottles for $US300 and up. A 30-liter bottle, which weighs 100 pounds and is equivalent to 40 regular bottles, can sell for over $US200,000, according to the New York Times. Andreas Rentz/Getty ImagesThe father-son duo behind Cattier, the French company that makes ‘Ace of Spades,’ pose with the 100-pound, $US200,000 bottle of their champagne. 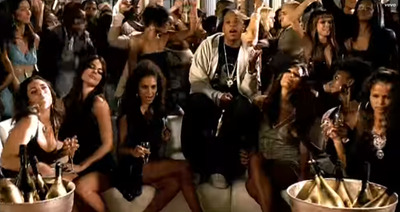 But Jay Z’s involvement with the company goes back much further than this week — to May 2006, to be exact — when Frederic Rouzaud, the manager of the company that makes Cristal champagne, made an unsavory comment about his brand’s clientele. Al Bello/Getty ImagesJay Z called for a boycott of Cristal after the company made a comment about not liking the brand’s rapper clientele. 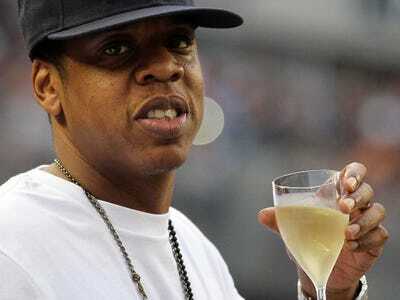 Jay Z, a major Cristal client who had given the brand shoutouts in songs, didn’t appreciate the comment. 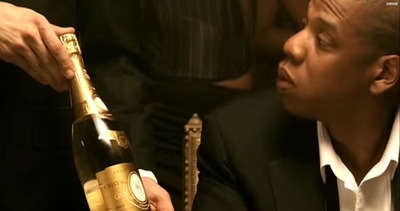 Later that year, a gold bottle appeared in Jay Z’s music video for “Show Me What You Got” and with that, the ever-present Cristal was officially replaced with Ace of Spades — despite Cristal being more highly regarded among wine critics. In “Show Me What You Got,” Jay Z sings the lyrics, “H.O.V.A., gold bottles of that Ace of Spade/Why even fool with these other guys” and in the video is seen rejecting a bottle of Cristal in favour of Ace of Spades. 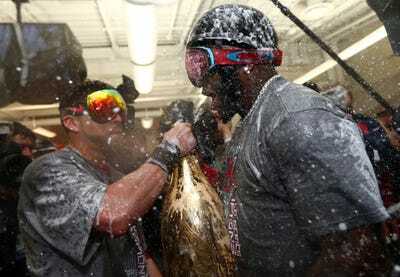 The product placement wasn’t an accident. In a new Forbes story on Jay Z’s champagne deal, O’Malley Greenburg writes that one of his sources previously pegged the value of the rapper’s stake in the company at $US50 million. So what was this week’s big acquisition announcement all about?